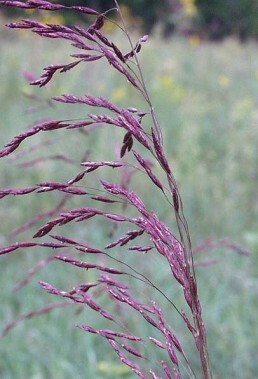 Purple flowering grass, a host for skipper butterflies. 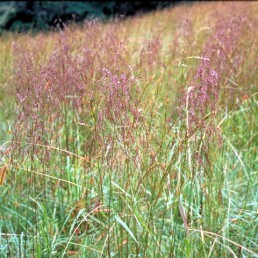 A beautiful, clumping grass that has purple flowers in the late summer and early fall. ?Looks especially striking when planted in a group and seen from a distance. 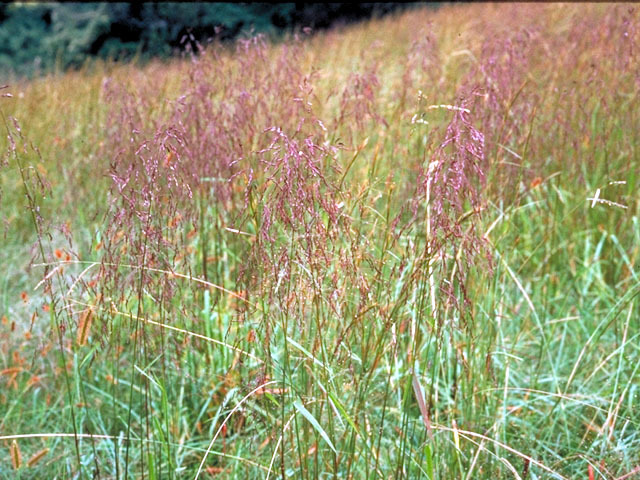 Purpletop tridens is a larval host for a number of butterflies and moths, including skipper butterflies such as the Crossline Skipper and Broad-winged Skipper.